UNITED NATIONS (CNS) — Only a “collective international response” can thwart the specter of terrorism that crosses borders, according to the Vatican’s permanent observer mission to the United Nations. 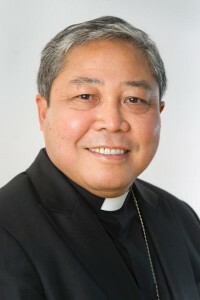 Archbishop Auza urged the international community to stop Islamic State’s international reach. “Their access to cyberspace must be denied. Their access to funding must be cut off. No country, no company and no individual must be permitted to ‘do business’ with terror groups, in particular in arms and ammunitions,” the U.N. nuncio said. During an April 18 U.N. Security Council debate on the Middle East, Archbishop Auza held fast to his theme of denouncing religiously inspired violence. “Hear the cries of the beleaguered communities of Christians and other ethnic and religious minority groups in the Middle East, who are discriminated against, persecuted, slaughtered, set afire or drowned because they do not share the ideological or religious views of their persecutors,” he said. Full relations between the Vatican and Palestine took effect Jan. 2. “The Holy See hopes that the agreement may serve as an example of dialogue and cooperation, in particular for other Arab and Muslim majority countries,” Archbishop Auza said.